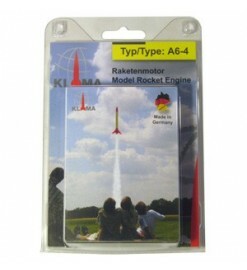 18 mm motors up to A-class for small and light rocket kits and for small launch fields. Up to A class There are 7 products. 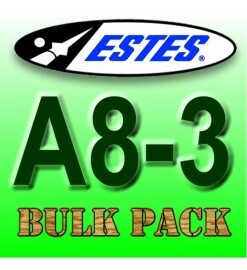 Pack of 3 Estes A8-3, 18 mm rocket motors, with igniters and plugs. 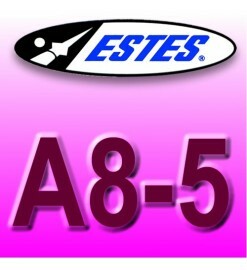 The least powerful among Estes 18 mm motors. 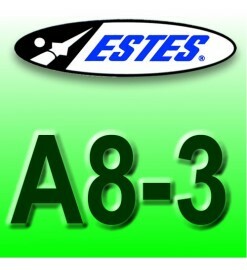 The best choice for the younger modeler. 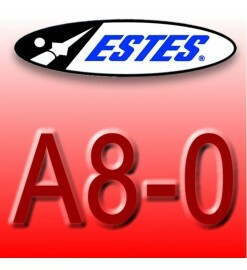 Pack of 3 Estes motors type A8-0, for booster stages of multi-stage rockets. 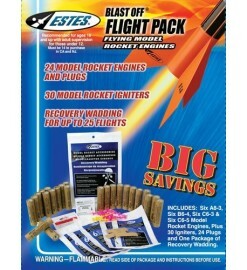 Pack of 24 rocket motors, most used types. It's a convenient package for groups, clubs, teachers, school projects. Includes igniters and flameproof wadding. 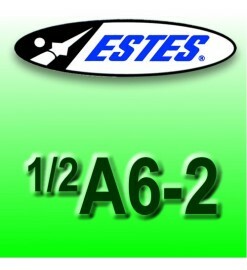 Pack of 24 engines type A8-3, convenient for clubs, school projects, educators.